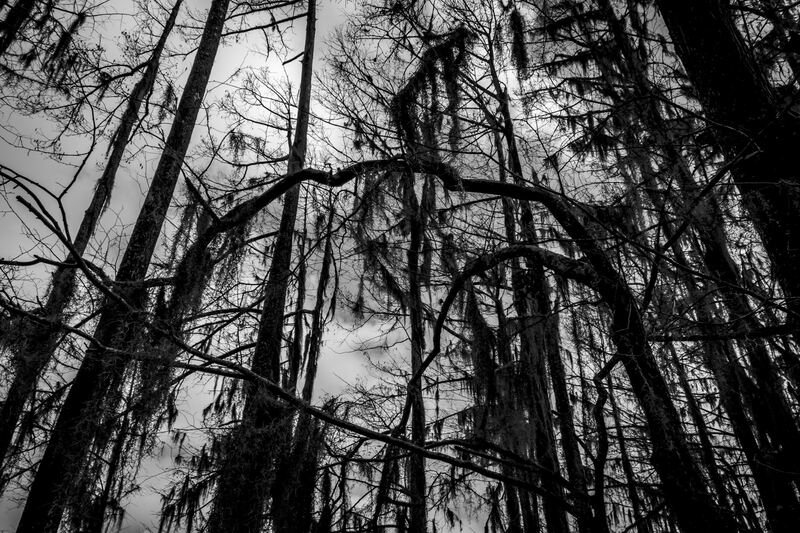 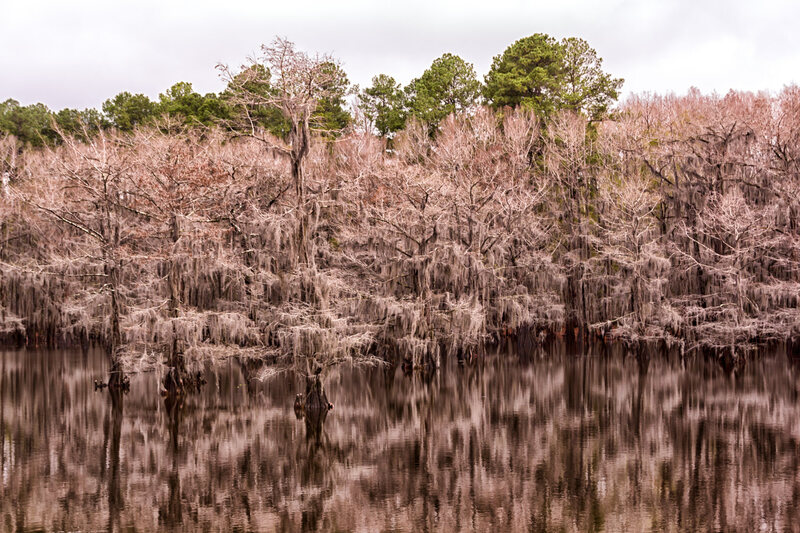 Spanish moss-covered cypress trees at Caddo Lake State Park, Texas. 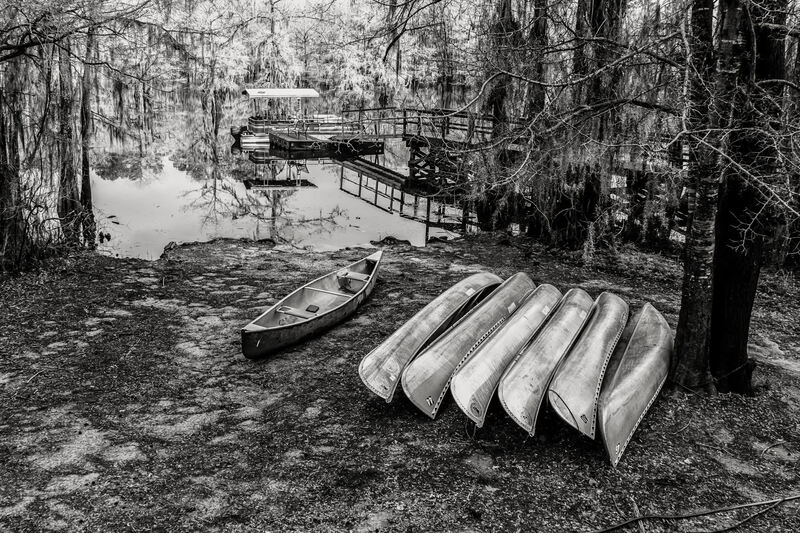 Canoes ashore at Caddo Lake State Park, Texas. 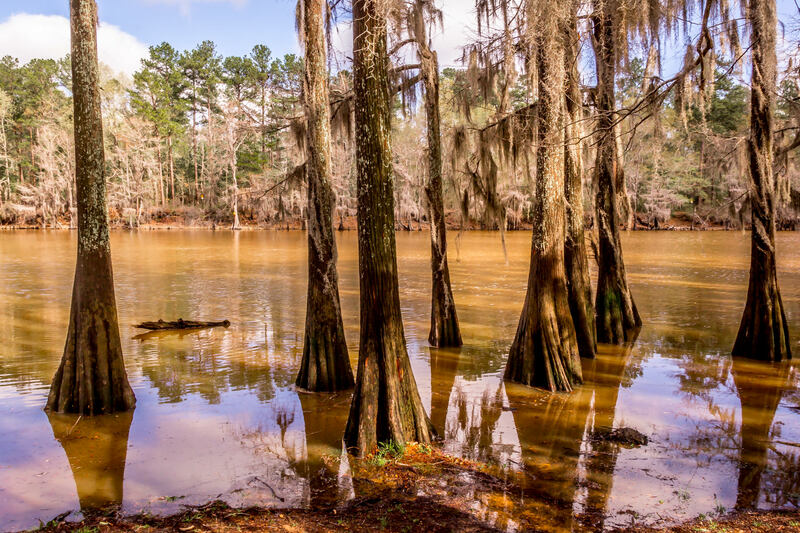 Cypress trees rise out of the water at Caddo Lake State Park, Texas. 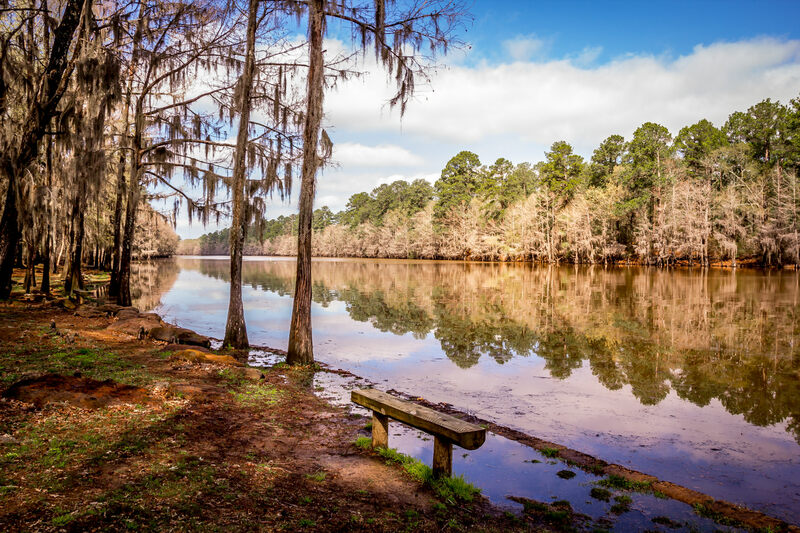 Trees and the sky reflected in the lake at Caddo Lake State Park, Texas.